On the 6th of April I was invited to meet up with the I.T.F.F.A. Spring Team by their Captain Aidan Rush. 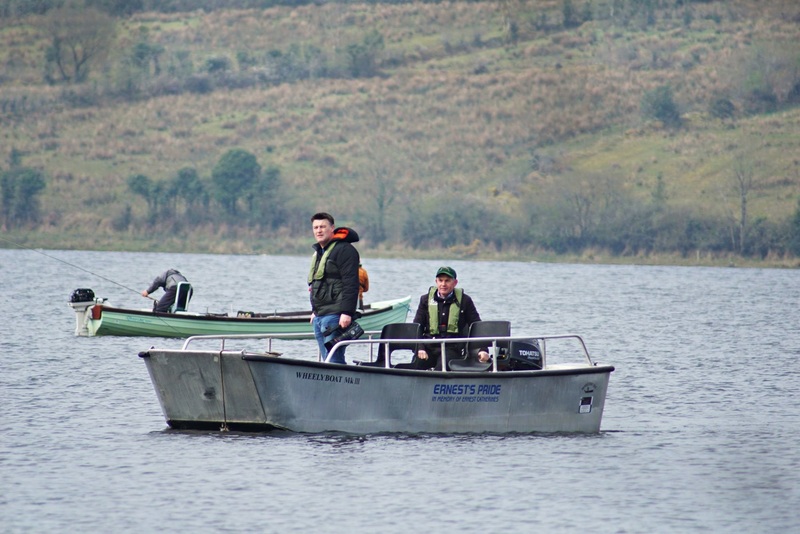 I was delighted to be involved, John Maguire and I set off to Lough Rowan at 7.15am. 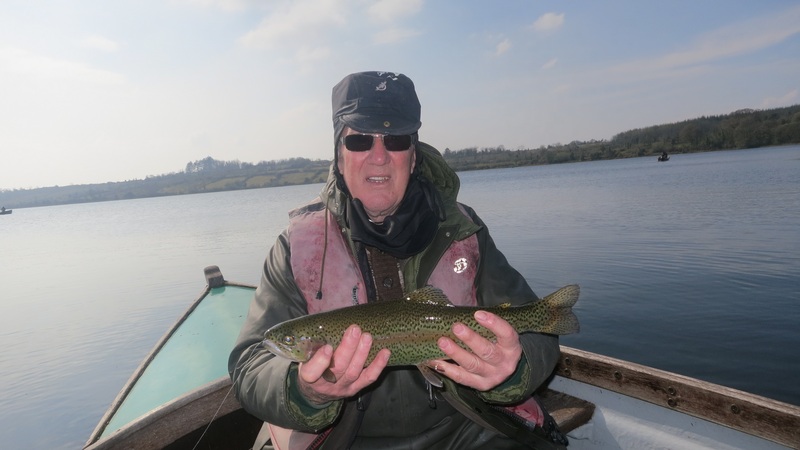 John a member of the Spring team had never fished the lake either but reports said that the lake fishes really well early season on the Buzzer. 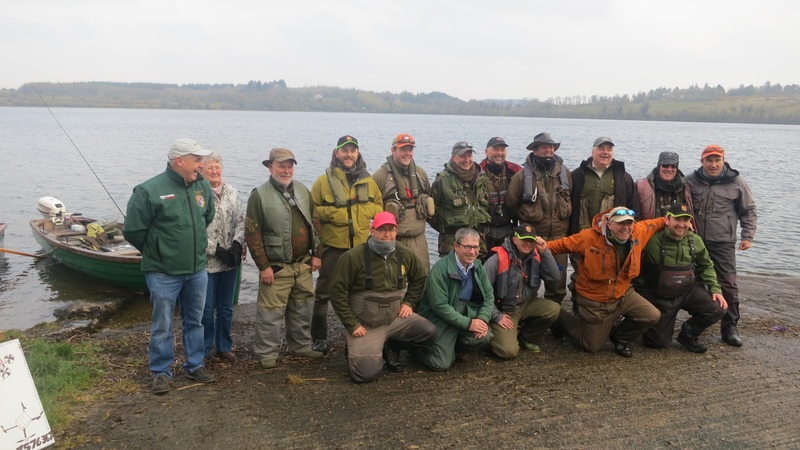 Lough Rowan Anglers actually gave the team the use of the lake on their opening day, so I was very much looking forward to it. 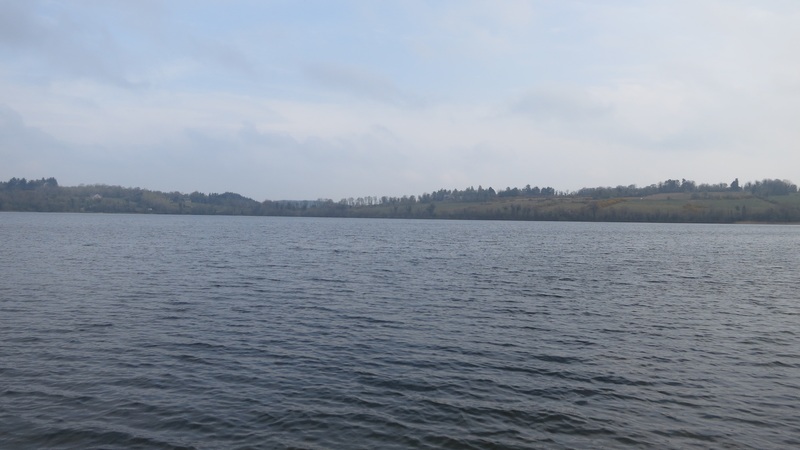 Luckily Aidan had sent the Satellite co-ordinates to those taking part and 1 hour and 40 mins after leaving Summerhill we saw the lake for the first time. We were about an hour early and it looked as if the rest of the team had arrived early too. 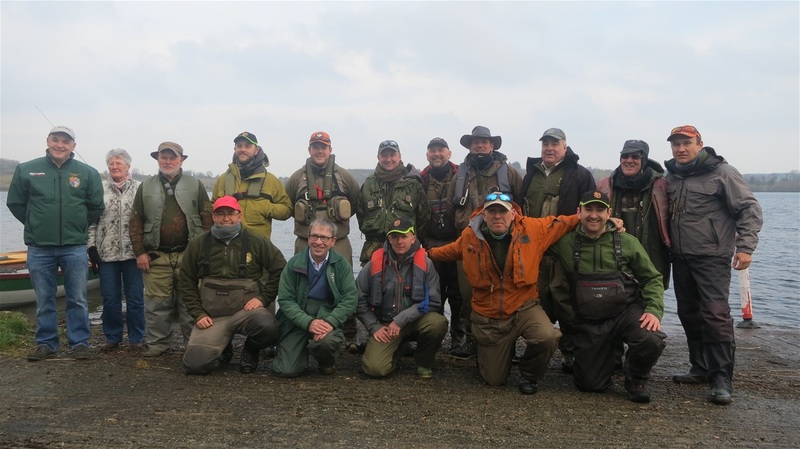 After a quick meeting held by Aidan the Captain and Michael Monaghan the Team Manager with an introduction to the lake by the local club , we were all paired off and sent on our way. It was a cold morning , with the wind gusting at times which made it feel even colder. I was paired with Shay Cash, a fellow Leinster man and someone I have known for years. 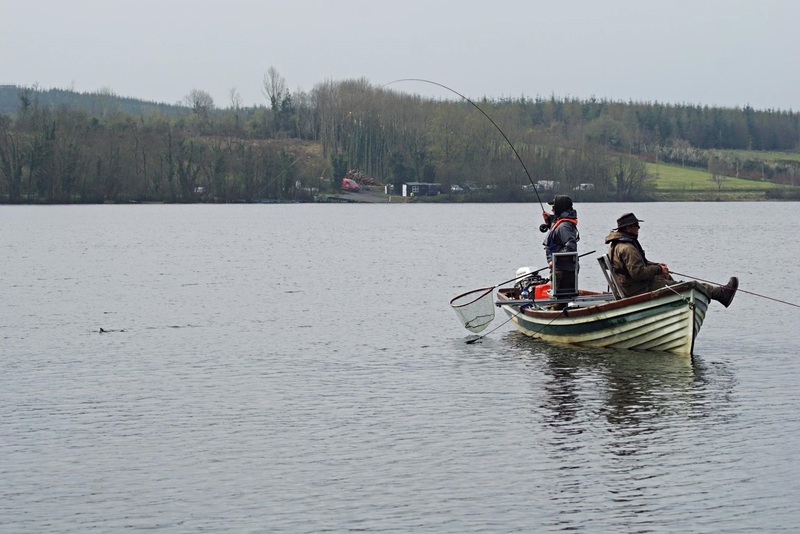 We have met numerous times on the shores of lakes all over Ireland But we actually never got to fish together. We headed to a quiet corner on the right hand side of the top of the lake. Shay opted to fish buzzers straight lining and I opted to fish the bung, just to see where the fish were in the water column. Well what a disaster, the bung disappeared 4 times on the first drift and I hooked played and dropped everyone of them . Maybe it was soft mouth stockies, was it the small 14 hooks I was using, was it.. was it... I would say it was just me making a balls of it. Things happen on a lake, so don’t get wound up, take it easy more chances will follow. Shay also decided to fish the bung as it was way to shallow to straight line. 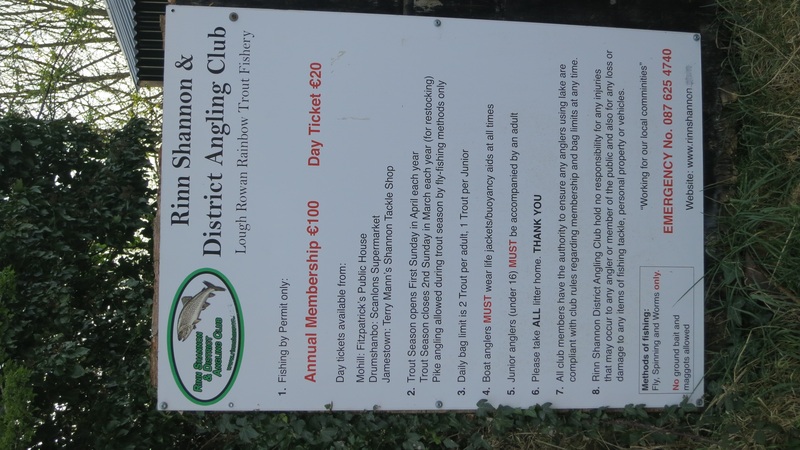 We did hook a few more fish shortly afterwards, but again our rubber hooks did not find their mark. 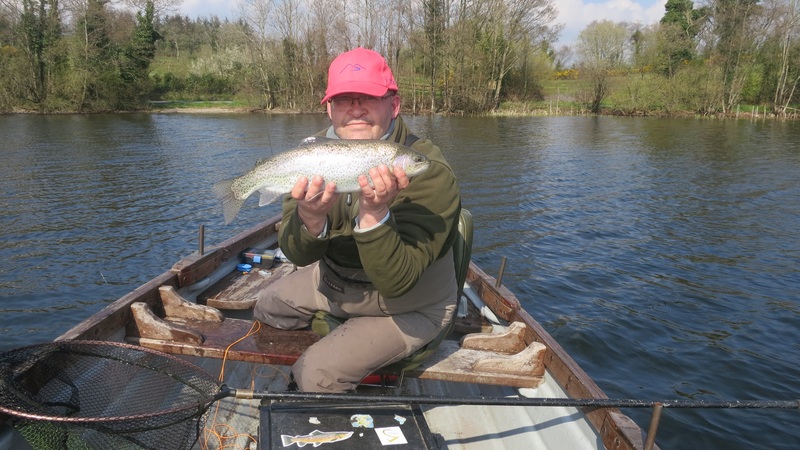 On our last drift before lunch we eventually picked up a few fish and on examining the stomach contents of the trout, we found mainly dead buzzers and a very odd small tiny buzzer that was alive. 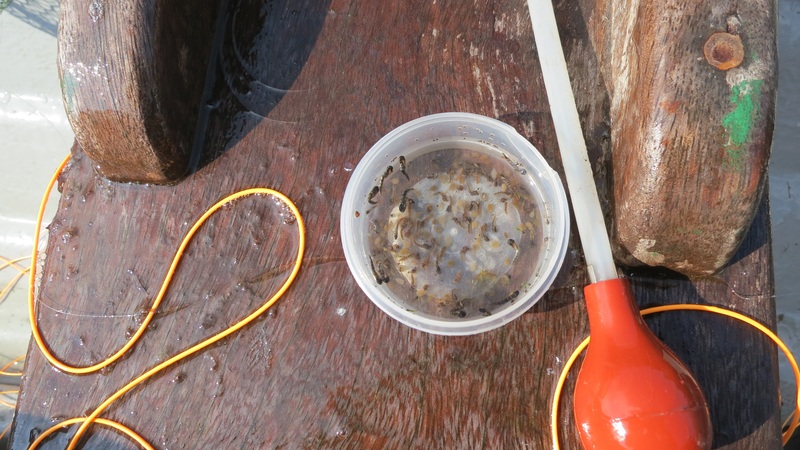 The lack of living, wriggling buzzers indicated to me that there was either a hatch yesterday, last night or early this morning, but they definitely were not hatching at the present time. It was nearing lunchtime and the smell of steaks coming from the hut was too much for Shay and I so we called time for lunch. 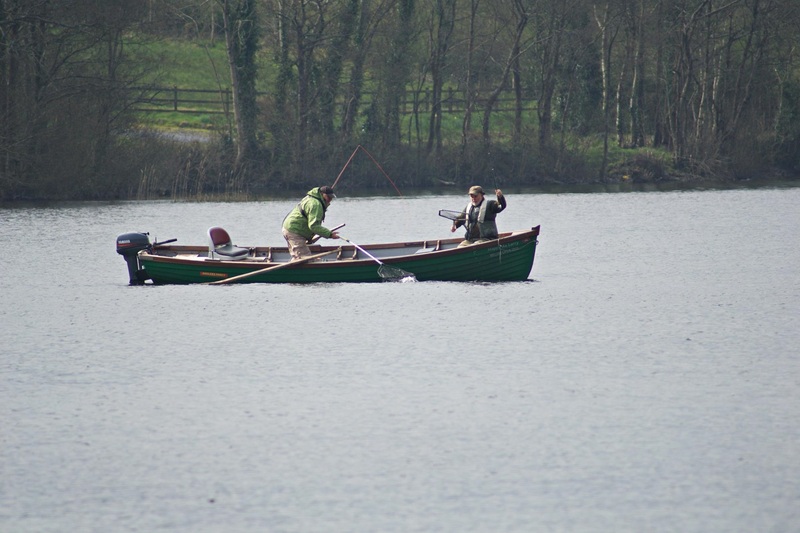 Lough Rowan had given the team the use of the cabin for the day and Nigel Green a team member was working hard inside. He was producing steak after steak to order with all the trimmings. Thank you Nigel it was wonderful to be handed a hot meal after you come off a cold lake. Again a team meeting took place, it was great to see all the members participating and explaining what they got up to during the morning session. This team has great spirit and I am sure they will do well in May. Listening to the morning reports it was clear we were not on fish ourselves in the morning and it was also clear that we were not on the right method, as everyone on the washing line had done well, with a few also doing well on the bung, but they were fishing in a different area. 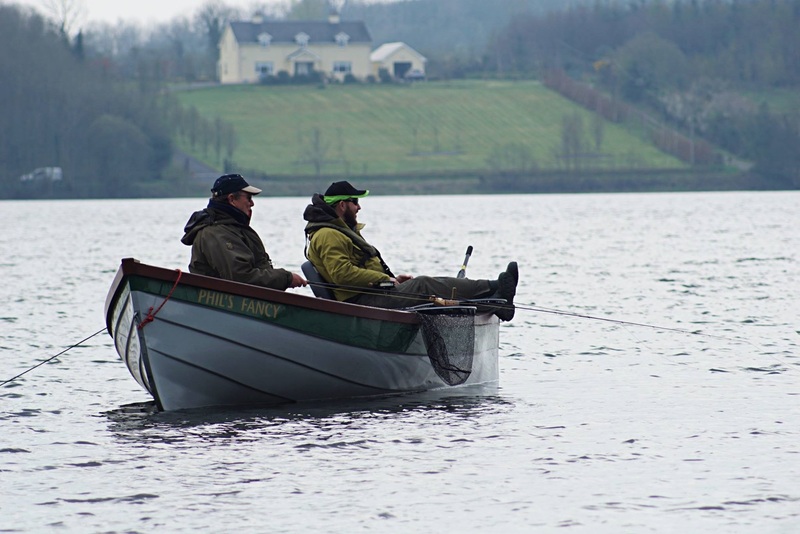 As I like to make the most of the short spring days we were first back out on the water. John Maguire had pointed me in the direction of fish just before we set off and as I set the drogue to slow the boat down, I saw a fish move. I stayed on the bung and Shay set up the washing line. Another fish rose in front of us and I cast in the direction of the fish. As the bung was about to hit the water I feathered the line through my hand slowing the speed of the bung and the flies so that the bung and flies would gently hit the water causing the minimum of disturbance. Moments later the Bung twitched and I set the hook, the next three cast also rewarded me with fish but then it slowed down. I felt the fish were higher in the water column and only taking my buzzers on the drop and once they went through that area/zone the fish were in you would have to wait for a take as only one fly would be in that zone. 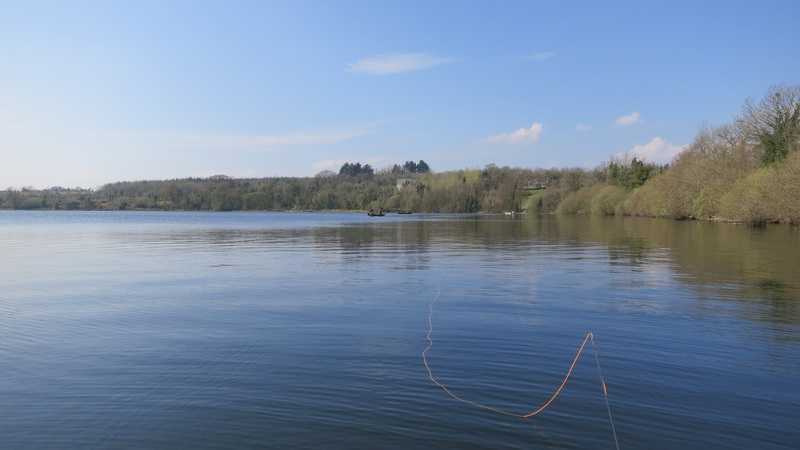 As Shay was also picking up the odd fish too I switched to the washing line on a 22ft 10.5 soft plus cast with a size 12 Coral B160 booby on the tail, 4 ft from the point I had a size 12 buzzer , 4ft to the next dropper I had a size 14 buzzer and on the top dropper 4ft away I had a cormorant. But I had 10ft of line between my top dropper and my fly line. 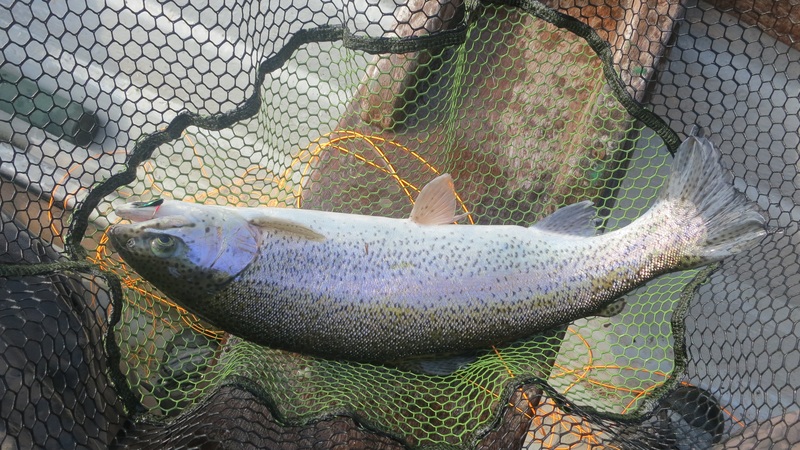 I think that the main line sometimes spooks feeding trout and using a long piece of Fluro helps you from spooking trout and also helps to get the flies down that extra bit. I cast out , straightened my line and seconds later all went tight. For the next half an hour the fishing was great, most of the fish falling to the buzzers. 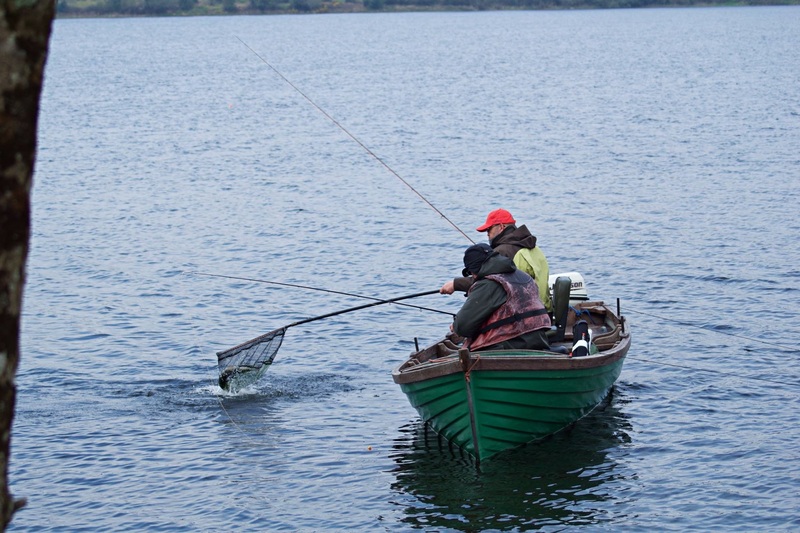 As the day wore on the fishing slowed as the fish got more wary, but ten minutes did not go by without a fish being brought to the net. The hatch of buzzers never happened and taking that into account I can only imagine what it will be like in a few weeks time as we had excellent sport at times on a bad day. The Day was a resounding success for the team, many thanks to Nigel for the great Lunch, To Larry and Stephen for coming down on the day and to Michael and Aidan for organising the event in conjunction with Lough Rowan Anglers. 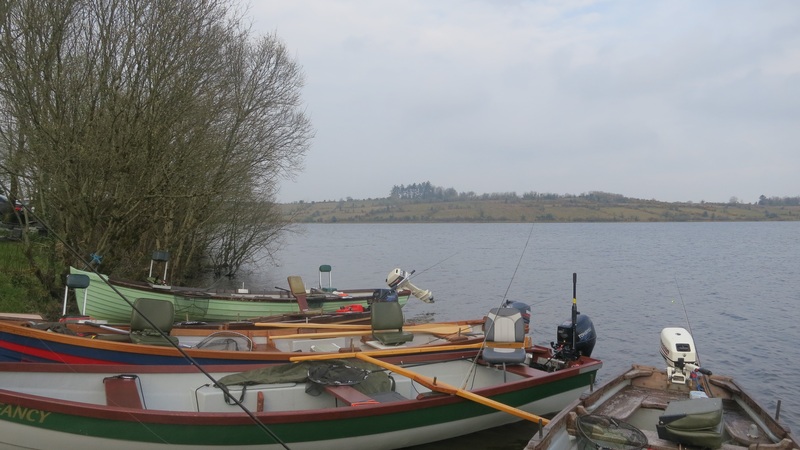 On a personal note I would like to thank Lough Rowan for all their help and for facilitating the team on the day. This was my first time visiting the fishery and I will be back soon. Thanks again. 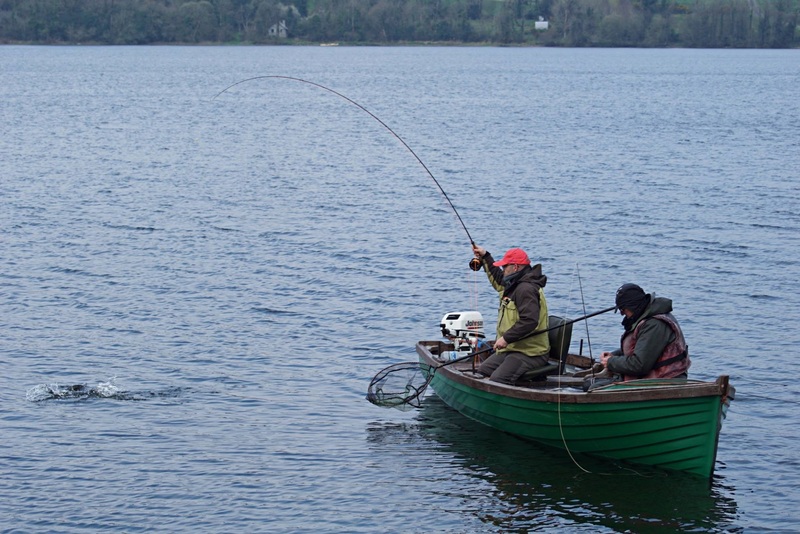 Next week I will be back on Lene, hoping for a change of weather and some top of the water action. Till then take care.